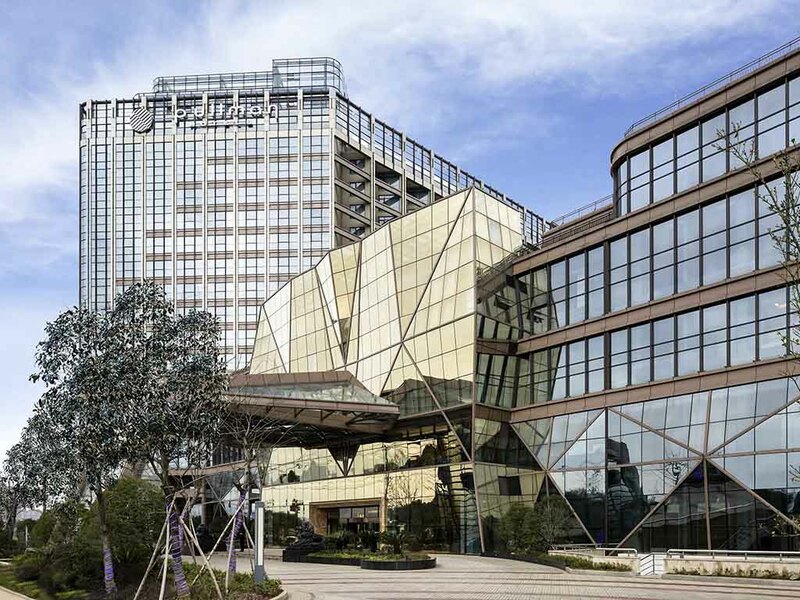 Situated in the stunning riverfront of Oujiang River, Pullman Wenzhou is adjacent to Jiangxin Island, the "Peng Lai wonderland of Oujiang River". The hotel is only a 20 minute-drive from Wenzhou South Railway Station, 40-minute drive from Longwan International Airport. Wenzhou City's CBD is only a 15 minutes' drive away. The hotel offers 306 guest rooms with modern design where contemporary style meets leading technology. Offers an impressive range of freshly made delicacies from various live cooking areas at breakfast, lunch and dinner buffets. An all-day a-la-carte menu is also provided. Lobby LoungeA comfortable, cosy lounge bar offering a wide array of teas, wines, spirits, liqueurs and classic cocktails for guests' pleasure.